This weekend I will be at the Craft Mumma's Creative Market on the 6th February from 10am – 2pm at the Cashmere Club Carpark. I will have some of my brand new heart tealights for Valentine Day, along with my usual selection. 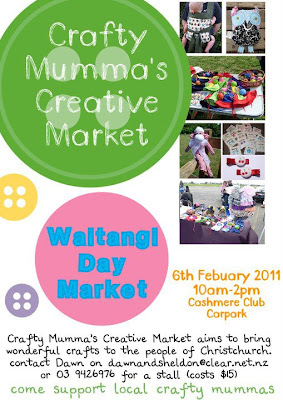 There will be a bouncy castle to entertain the kids while you browse the selection of wonderful crafts. Sounds like a great excuse for an outing to me!